Demonstrating its commitment to UT Southwestern Medical Center and recognizing the institution’s mission to conduct impactful medical research and provide the most advanced clinical care, charitable foundation Once Upon a Time… has recently donated $10 million in support of research being led by several faculty members across campus. This philanthropic support will accelerate efforts to determine genetic causes of disease, understand cell function in cancer, identify metabolic disturbances in cancer and other diseases, harness brain plasticity in treating multiple sclerosis, explain bacteria’s behavior, and develop more effective cancer treatments. Fort-Worth based Once Upon a Time… has been a philanthropic partner to UT Southwestern for nearly 15 years, investing in some of the most important work underway, ranging from emergency medicine to neurology research to precision cancer treatments. 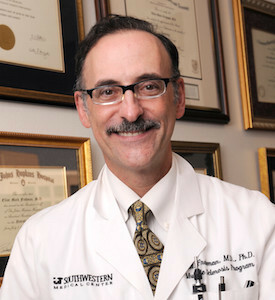 As Director of the Children’s Medical Center Research Institute’s Genetic Metabolic Disease Program and Chief of the Division of Pediatric Genetics and Metabolism, Dr. Ralph DeBerardinis is working to identify metabolic disturbances in cancer and other diseases as a basis for designing new therapies that restore normal metabolism and improve patient health. Once Upon a Time… has provided $1 million toward these efforts. Dr. DeBerardinis and his colleagues recently identified a novel metabolic pathway that helps cancer cells thrive in conditions that are lethal to normal cells. His team believes this is a crucial first step in developing therapeutic strategies that can put a cancer’s own metabolism to work against itself. Dr. Elliot Frohman, Professor of Neurology and Neurotherapeutics, and Ophthalmology, understands what can be achieved through powerful partnerships. Since 1995 he and his wife, Teresa Frohman, a Physician Assistant in Neurology and Neurotherapeutics, have worked to understand, manage, and uncover the mysteries involved in multiple sclerosis (MS). Once Upon a Time… provided $1 million to support Dr. Frohman’s collaboration with Dr. Robert Rennaker, Chief of Neuroengineering at UT Dallas. Their work explores how the brain’s ability to learn and recover, known as brain plasticity, can be harnessed to treat MS patients. 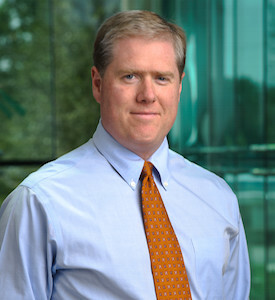 An internationally recognized leader in stem cell research, Dr. Sean Morrison is Director of the Children’s Medical Center Research Institute (CRI) at UT Southwestern. He and his team focus on the intersection of stem cell biology with regenerative medicine and cancer biology. To support Dr. Morrison, the Foundation has gifted $1 million for research. He is the principal investigator for the Hamon Laboratory for Stem Cell and Cancer Biology at CRI, which studies the cellular and molecular mechanisms that regulate the function of stem cells and cancer cells in the nervous and hematopoietic systems. To further her research of how bacteria take over cells, Dr. Kim Orth’s laboratory needed a confocal microscope. Funding in the amount of $1 million from Once Upon a Time… will enable her lab staff to continue their work of studying how disease-causing bacteria manipulate host cells for their own benefit and survival. Dr. Orth, Professor of Molecular Biology and Biochemistry, and her team previously identified unknown mechanisms by which invading bacteria commandeer and deregulate a cell’s signaling systems, cutting off its ability to communicate with immune-system cells. The ability to sequence the DNA of an organism’s genome is one of the most important scientific advances of the last two decades. Utilizing a $5 million gift from the Foundation, UT Southwestern currently is developing a robust Next Generation Sequencing (NGS) enterprise to advance the power of genomics and deliver personalized therapies for cancer patients. Those therapies will target the unique genetic signature of patients’ specific cancers. In addition to cancer, NGS could also have an impact on other fields as they enter the genomics era, including autoimmune diseases and metabolic disorders. UT Southwestern faculty members care for many children with developmental disorders likely to have a genetic origin. Understanding the causes of these disorders could have broad impact on both clinical care and on understanding the mechanisms involved in memory, emotion, and recovery in adults. The Foundation also recognized three physicians for the exceptional care they provide to patients through additional philanthropic gifts totaling $1 million. Dr. Arthur Sagalowsky, Professor of Urology, was honored through the establishment of the Arthur Sagalowsky, M.D. Distinguished Professorship in Urology. Dr. Robert Timmerman, Professor of Radiation Oncology and Neurological Surgery, and Dr. Yull Arriaga, Associate Professor of Internal Medicine, were recognized and received support for their collaborative i-SAbR (Immunotherapy + Stereotactic Body Radiotherapy) research projects. Aimed at exploiting the synergistic effect of combining immunotherapy and radiotherapy that in early studies has been shown to improve treatment efficacy and outcomes for several types of cancers, these projects also exemplify the Medical Center’s emphasis on interaction among its clinicians, translational researchers, and basic scientists. This latest provision of funds by Once Upon a Time… represents unprecedented support. Previously the Foundation made gifts and pledges of more than $4.1 million to UT Southwestern. The Medical Center’s neurology programs also received a gift of $1 million in 2006 to accelerate efforts to study epileptic seizures and the nerve cell loss caused by MS. In 2013, funds established the Once Upon a Time Foundation Professorship in Pediatric Neurologic Diseases, currently held by Dr. Juan Pascual, Associate Professor of Neurology and Neurotherapeutics, Physiology, and Pediatrics. Dr. DeBerardinis holds the Joel B. Steinberg, M.D. Chair in Pediatrics. Dr. Fitz holds the Nadine and Tom Craddick Distinguished Chair in Medical Science and Atticus James Gill, M.D. Chair in Medical Science. Dr. Frohman holds the Irene Wadel and Robert I. Atha, Jr. Distinguished Chair in Neurology and the Kenney Marie Dixon-Pickens Distinguished Professorship in Multiple Sclerosis Research. 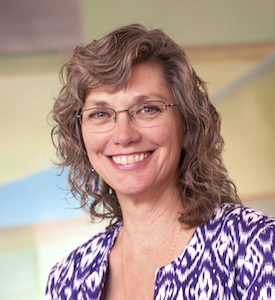 Dr. Morrison holds the Mary McDermott Cook Chair in Pediatric Genetics and Kathryne and Gene Bishop Distinguished Chair in Pediatric Research at Children's Research Institute at UT Southwestern. Dr. Orth holds the Earl A. Forsythe Chair in Biomedical Science. Dr. Sagalowsky holds the Cissy and Plack Carr, Jr. Professorship in Medical Education. Dr. Timmerman holds the Effie Marie Cain Distinguished Chair in Cancer Therapy Research.